Apps in Education: Can Your iPad Replace Your SmartBoard? I must say I am a little biased with this post, it comes from a blog that was one of the first that I started to follow, and it has been one of the staples that has really got me thinking seriously about the use of iPads in Education. Sam Gilksman is one of those guys that starts and then perpetuates really challenging discussions. Often I have my opinion altered by the vigorous and spirited thread of comments that follow his weekly discussion starters. Anyway this is a useful post on using iPads and an App instead of Interactive Whiteboards. Sam posted this over at ipadeducators on March 15, 2011. I did take the liberty of adding the video and graphic - sorry Sam. What if you could create a parallel experience using nothing more than an iPad and a $50 piece of software? One software product with a matching iPad app claims that it can. Doceri is an iPad app that provides an alternative to interactive whiteboards at a fraction of the cost. Doceri lets an educator control and annotate on a computer connected to a projector from anywhere in the room. Step 1: Install the Doceri software on your laptop or desktop computer. The software is available from the Doceri website and there are versions for both Mac and Windows computers. Install it on whichever computer you want to use for your presentations. 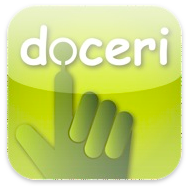 Step 2: Get your iPad and download the Doceri iPad app. Step 3: Connect the two. When you set up the app it looks for the software on your desktop or laptop and connects to it. Now I have to admit that I had problems with the connection. If your iPad and laptop are on the same wireless network then you can allow the app to “discover” the laptop. This tends to work fairly efficiently. If however they are not on the same network – say, for example the computer is using a wired connection and not on wireless – then you’ll need to know and enter an IP address for the app to find your computer. For novices this can become a little tricky. One connected, your iPad can now display and control your computer directly. You can open documents, browse the web, play video and more. If that was all you could do then there would be numerous other inexpensive apps you could use. 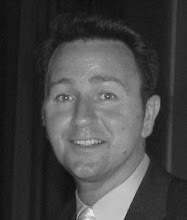 Doceri does much more. Highlight and Annotate: Similar to the ways in which you can interact with your computer using Smartboard or Promethean software, Doceri allows you to write or draw on the screen using your iPad. Open a blank page and write on it. Open a document or web page and highlight sections or add annotations. You can change backgrounds, pen types, colors and more. Untethered Teaching: Doceri frees the teacher from being anchored to the whiteboard. Input occurs on the iPad instead. Doceri gives teachers the freedom to move around the classroom and interact with students as part of the presentation process. Use Any Content: Since Doceri works in conjunction with a PC or MAC, the educator can use any existing content - whether Flash, Powerpoint, Java, a website, or a standalone application. Users aren’t restricted to using content that is available on the iPad. Record Lessons for Playback: Doceri has a built-in record function that gives you the option of recording your annotations and playing them back at any time. This enables educators to prepare handwritten lesson snippets in advance, create them in real time, or both. Recordings also allow you to set anchor points that make it simple to jump to any part of the lesson recording quickly. Just to be absolutely clear, I’m not an advocate of frontal teaching methods. Having said that, there will always be times teachers need to present and demonstrate. As with any other new technology, it takes a little time to get used to Doceri’s iPad-based writing interface. Doceri is however a sensible and cost effective alternative to Smartboards and it's certainly worth your time to download their trial version and see if it meets your needs. Just to be perfectly clear, This program will allow me to remotely control any program on my computer from my iPad? I am a promethean user and school and train others at my school. We are looking for an alternative to ActivSlate so the teacher can view directly from the tablet...with the doceri app work in the manner we are wanting? If not, is there one that will?